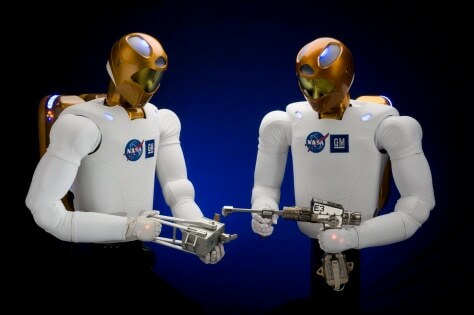 GM and NASA spent three years developing "Robonaut2," or R2 for short. GM says R2 can be used to develop advanced safety systems for future vehicles, as well as provide improved safety and efficiency in the company's manufacturing plants. NASA may use "Robonaut2," or R2 for short, to assist astronauts on missions.